From the bustling cities of Split and Dubrovnik to the crystal-clear waters of the Adriatic Sea, Croatia is a shimmering sight with something for everyone. Croatia is a compelling mix of national parks, historic towns and sun-drenched islands all surrounded by postcard-worthy clear water. Our carefully selected range of holidays to Croatia covers all of the key highlights and many off-the-beaten-track gems. Working alongside our local experts and inspired by our own travels here, all our Croatian holidays are designed to ensure you waste no time making the most of this fascinating country. Take a stroll through some of Croatia’s enchanting cities. Our Dubrovnik and the Elaphiti Islands Highlights and Cruise the Islands and Cities of the Dalmatian Coast are two holidays which let you explore behind Dubrovnik’s fortified walls concealing an Old Town which makes you feel as though you’ve stepped back in time (easily justifying its use as the Red City in Game of Thrones). Further north, there’s also the chance to see the marbled alleys and Roman ruins of Diocletian’s Palace in Split and if you choose our Highlights by Land and Sea tour, this will be one of the main ports of call. For those who can’t resist the invitingly-blue waters, our Adventure Sailing Weekend on the Dalmatian Coast and Elaphiti Island Active Adventure both include activities to suit you. Kayak, snorkel and paddle board around some of the most striking coastlines in the world and explore some of Croatia’s idyllic islands. With so much to see in Croatia, we’ve designed our holidays so you tick off some of the most magical highlights here. But be warned, even our well-travelled Managing Director can’t resist frequently returning to this stunning country and we think after your visit here, you will too! Our Croatian holidays depart between April and October so you make the most of the summer sun over the dazzling waters. April to June and September/October are cooler months with fewer tourists whereas the high summer months of July and August are perfect for those who love the heat. Many of our holidays in Croatia give you the chance to explore the country by land and sea. Even in the warmest months, you can enjoy the refreshing sea breeze that accompanies a small-ship cruise and if you need to cool off even further, what better way than with a dip in the clear waters of the Adriatic? Can’t decide whether you prefer exploring history-rich cities or relaxing on alluring islands? Our seven-night Islands and Cities of the Dalmatian Coast small ship cruise is one option that takes you to both, including the cultural hub of Hvar and enchanting Mljet, the island so stunning it’s said to have seduced Odysseus into staying for seven years. Once you’ve seen it, you’ll be surprised he didn’t stay longer. Using local knowledge and our personal travel experience, we’ve carefully designed our Croatian holidays to showcase just how spectacular this country is. 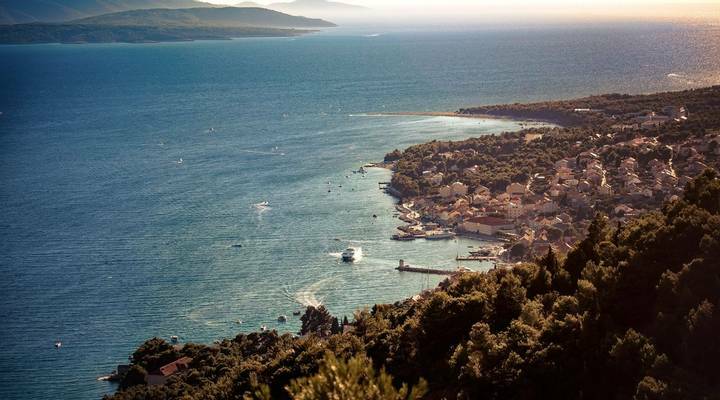 Croatia is home to over 1000 islands, so to say you’re spoilt for choice is an understatement. One of the best ways to discover these islands for yourself is by getting out on the water. During our Adventure Sailing Weekend on the Dalmatian Coast and Elaphiti Island Active Adventure tours, you can choose to kayak, paddle board and snorkel or you can simply relax on the sun-drenched deck of the boat as it cruises over the crystal-clear waters. Mljet is one of the standout islands; as a designated national park with two inland saltwater lakes, the landscape and hidden gems here are not to be missed. With such a stunning coastline, it can be easy to overlook Croatia’s interior but with over 400 protected areas it’s worth your time heading inland. One of the most impressive locations is the UNESCO World Heritage site at the Plitviče Lakes National Park. 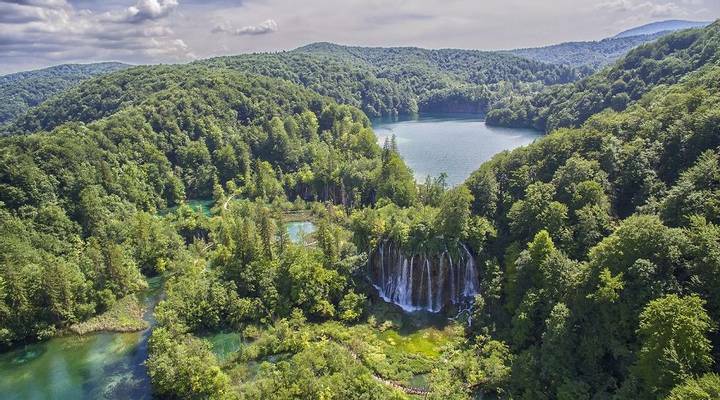 Even though you’re away from the coast, with a network of 16 tiered lakes connected by a series of waterfalls, it’s still the water that takes the spotlight here. Make sure you see Veliki Slap meaning “Big Waterfall” whose waters tumble a full 70 metres before hitting any resistance. For the drier sights but still just as impressive, head to one of the many bustling cities on offer. From the medieval wonders in Dubrovnik to the Roman architecture in Split, history lovers will be in awe of what Croatia can offer. All of Croatia’s coastline is to be admired but it’s the stretch of the Dalmatian Coast that cements this country as a must-see. The blue of the skies blurs into the sparkling waters, only broken by the myriad of islands waiting to be explored. Choose between uninhabited lands or envy at the homes built in idyllic locations including Hvar, the perfect mix of relaxing beaches and historic architecture. To make the most of the paradise here, don’t just stay on dry land. Paddle, kayak or snorkel through the crystal-clear waters and get up close to the famous coastline. Take a deeper look at times gone by as you stroll through Croatia’s magnificent cities. The ‘Pearl of the Adriatic’ is a big name to live up to but Dubrovnik certainly doesn’t disappoint. Walking its majestic walls, it feels like the stuff of legends but as you delve deeper into the rich history here, you’ll feel the past come alive around you. History continues to thrive in bustling Split. See the remarkable Diocletian’s Palace, an ancient Roman structure, and navigate your way through twisting lanes to the vibrant promenade where you can dine in style. With such an exciting mix of land and sea, there is no better way to explore Croatia than on a small-ship cruise. We’ve carefully selected our range of Croatian holidays to ensure you get a healthy dose of both and see the best spots in this extraordinary country. If there is a more enticing stretch of coastline than Croatia’s Dalmatian Coast then we would dearly love to know about it. The waters between magnificent Split and majestic Dubrovnik are punctuated by myriad islands of all shape and size. Some are uninhabited but those that are, leave you with an indelible sense of immense envy. Is it really fair that people get to live in such idyllic places? So, once you’ve marvelled at Split’s Old Town and the vestiges of Diocletian’s remarkable Palace the only way to travel south to Dubrovnik is on a small ship cruise. Everything here on the Dalmatian coast is blue. The sky is blue, the sea is a shade of blue which is generally only reserved for holiday brochures and even the islands appear a bluish grey in the shimmering heat haze of summer. The islands are heavenly. You could happily spend years exploring them by hopping (in style) from Brac to Hvar to Korcula, Mljet before arriving in the jewel of the Adriatic, Dubrovnik. Dubrovnik is the stuff of legend, a magnificent walled city which has understandably been widely purloined as a film and TV set (not least for Game of Thrones). Dubrovnik is all about honey-coloured buildings, red-tiled rooftops, grand squares and labyrinthine alleyways. It’s as close to perfect as a city can be. We had the most amazing week. The crew were fantastic. They took great care of us. The rep Bruno looked after us very well. Allan and the team at ARTISAN TRAVEL were extremely helpful from start to finish. We were driving to Dubrovnik to board the ship and the directions were faultless. Allan thank you for going out of your way to look into the parking; the car park was a two min walk from where we had to board the ship and disembark. Thank you.